Bonita Vista is looking like an open division team. They played a tough off season schedule and they are currently rank #37 in the state (Cal-hi Sports). They are expected to be one of the top teams in San Diego and Southern California. Sr. guard Anneth Grijalba is one of the returners for the Barons. The South Bay has been producing solid teams in all divisions and teams continue to be in contention to win Championships. 7 teams competed in the semi-finals of their respective divisions while 4 of those teams advanced to the CIF championship game in the 2017-18 season. This year the South Bay will have teams looking to continue their success. It was a tough group of teams to pick because after the top 2-3 teams there’s a group of teams that match up well or are close in talent. With that in mind and our evaluation during the off-season, here are the start of season team rankings for the South Bay. Many thought after the loss of the Nations leading scorer Shyla Latone, that the Barons would be slightly down this year. That is not the case, the Lady Barons brings a host of talented returners that will give the Barons the talent they need at every position. During the off season the Lady Barons had the State Open Division runner up Pinewood down 10 but the Lady Barons barely fell short in the end. They had nice off season wins over Liberty (Las Vegas), Bishop Gorman (Las Vegas), Mt. Miguel and Mission Hills. Although off season doesn’t show what you will see in season, the Barons definitely showed they will be competing to play in the open division and a championship is not far fetched. 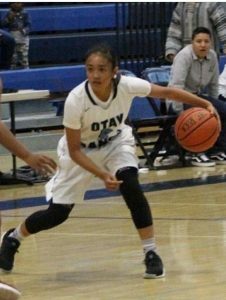 Sr. guard Anneth Grijalba will pace the Barons with returners Julia Cosalan, Keyanna McCoy and La Verne Commit Laryssa Kure to help lead the attack. Barons are predicted to be one of the top teams in the county and state. They are currently ranked #37 in the state and they are looking to move up. The Crusaders are one of the few teams returning everyone and more. With the addition of Kayanna Spriggs from Montgomery they are hot on the Barons tail for the #1 spot. With every player returning after a CIF championship appearance they are in good shape to make another run. They have been tested during the off season and will be bringing a lot of experience that will help them close out games. UC Irvine Commit Chloe Webb leads the charge. Right by her side will be Jr. guard Marissa Sanchez and Sophomore guard Teanna Alaman. They bring size and will be a well rounded team headed in to a tough schedule, playing in the LJCD Sweet 16 and the Nike TOC in Arizona as well as the San Diego Classic. The Crusaders should be ready to roll by the time they get to league games. Teanna Alaman will be a key contributor for Mater Dei. The defending division II champions will take the #3 spot in the South. They lost 6 seniors including the heart of the team Cynthia Green. 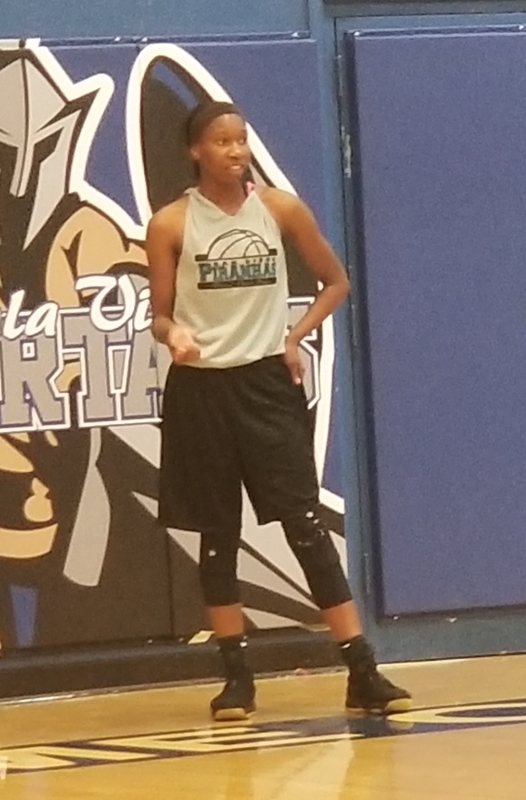 They have a solid core returning lead by Jr. guard Danalia Brown who had a solid season last year and her role will expand this year. 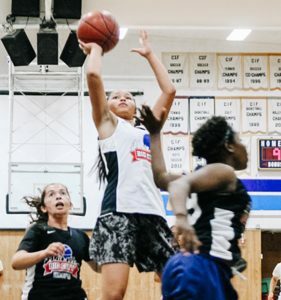 She will be leaning heavily on Sr. guards Eva Ciriza and Isabella Fidelino. With a bump up to division I, the Eagles will have to prove they can mix it up with some of the better teams across the county. Aside from Bishop’s and Mt. Miguel on their schedule. Their toughest match ups will be in league play. Danalia Brown is one of 6 returners for the Eagles. The lancers are looking to bounce back after being down since their CIF championship appearance in 2016. With Sophomore center Keyontre Grayson playing solid Hilltop will be a threat in the South Bay. They are predicted to win the South Bay League as long as they can get past Chula Vista which may be easier said than done. If they can get it all together they can possibly make a push at a CIF appearance in division III. Sophomore guard Daniela Valencia and senior guard Montserrat Guzman will be contributing to this years team. Otay Ranch lost the majority of their team to graduation. But with the return of Jr. guard Lynette Garon they will be a team to keep an eye on. Alongside Garon will be Jr. guard Mikayla Maglalang, the duo will bring experience and leadership to the table. If the new comers can rally behind them they could finish among the top 3 of the Metro league. The 2017-18 South Bay league champs are looking to continue their streak in the south. Jr Frida Cabellero is going to be a key player in the Spartans game plan. They play well together and scoring will be a team effort. It will be a tough task for them to beat out Hilltop, the new comer to the South Bay league and the Spartans seem ready for the challenge. Transfers has hurt the Titans over the past couple years, the biggest loss for this season was Auren Isaacson who transferred to Mission Hills. Coach David Koopman continues to push with what he has. Kalah Bateman was expected to return but has not been seen playing with them. With Bateman possibly not playing that drops the Titans to the #7 spot. Freshman Kate Galvin will be asked to step up and help out their lead returner Caitlyn McCoy. Once the Titans get rolling they could be moving up in the ranks. The Bruins seem to be coming together and playing together more often. 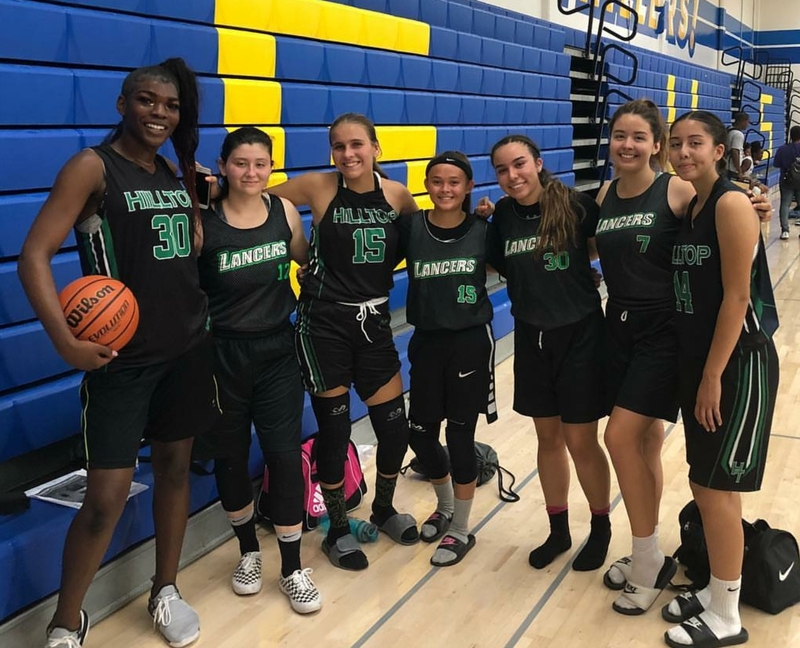 With a group of returners that are taking a new approach to the game and getting better and better, they will be a team to look out for in the South Bay. Samantha Magpusao is a player that makes plays and will be a huge part of the Bruins success this year coming in at #8. The Division 4 runner ups will be looking to claw their way back to the Championship. 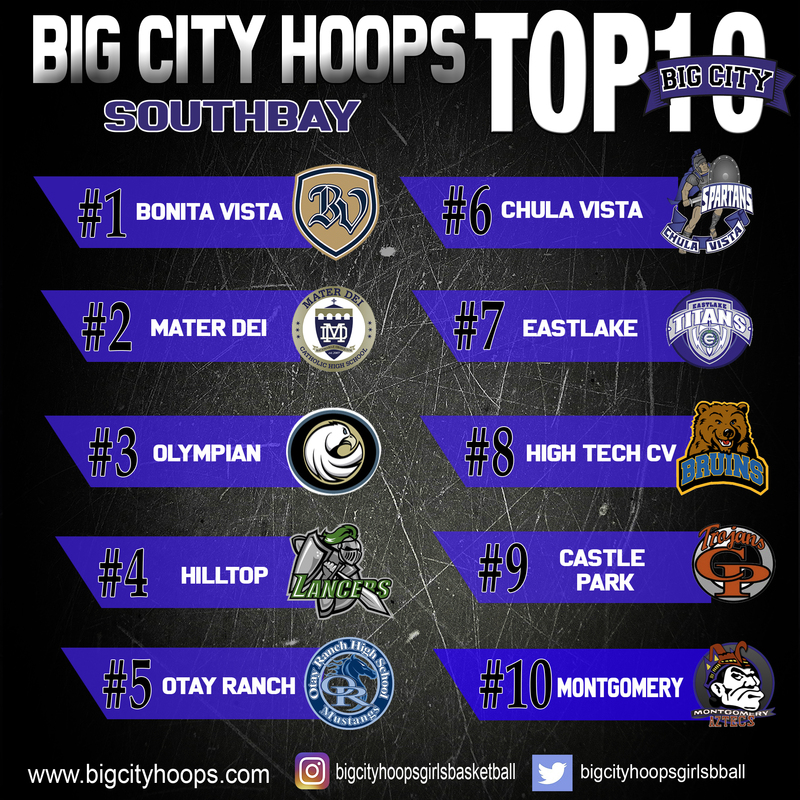 So far they have taken an early season win over Montgomery and a tough 10 point loss to Eastlake the Trojans come in at #9 in the Southbay. Kaleese Petties and Kaylynn Cooper are the key losses for the Aztecs. Their big Kayanna Spriggs transferring to Mater Dei was a tough loss for Coach Stefanie Maher in her 3rd year at Montgomery. The Lady Aztecs have a lot of new faces that will be working to get on pace with the 4 returners.